When I started this book, I was sure it was going to end up being my favorite book of the year. The titular Oscar is one in a family of Dominicans who believe they are cursed by a fuku, a curse put on the family in part by the dictator Rafael Trujillo. The book is an exploration of the tragedies that afflict this family, which are blamed on this fuku. The story dives deep into Dominican nationalism, racism and class issues, the effects of dictatorships, and problems of depression and anxiety. It is, in a word, complex, and I think it’s really important that I read it. 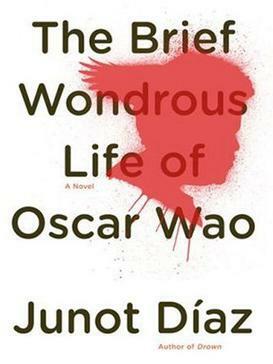 It is also a big step forward in my quest to read more diversely, as Junot Diaz himself is Dominican American. The writing was amazing, rich and intricate, atmospheric in a way that made the Dominican Republic, something I know nothing about, come to life. And I loved the switching of characters, the way some of the viewpoints were omniscient and some were first person, some looked forward, some looked backwards and some were stuck exactly where they were in time. Every single character had an entire life, and it was sometimes difficult to imagine that they did not actually exist in real life. But after about 50% of the way through the book I realized that I was no longer engaged. I was semi-interested in what the actual end of Oscar was, what eventually, finally, brought it about. And I was semi-interested in the further relationships of the family and the life of Yunior, the unflappable narrator. But I just… didn’t care THAT much. I was reading for the writing, not the story. And when it was done (a very disappointing ending, if you ask me, which you did implicitly by reading this blog), I realized I was grateful that it was done. I’m going to rad more Diaz, I’ve already bought This is How You Lose Her, and I think that may do the trick, because a big complaint I had was how very tediously long the book felt. All of this being said, I’ve found myself referencing it and thinking about it in the weeks after reading it. Maybe it will become a book I like more and more in retrospect. At the moment, though, I give it 3.5 stars, but 4 for Goodreads’ sake. Just checking in, and some news.